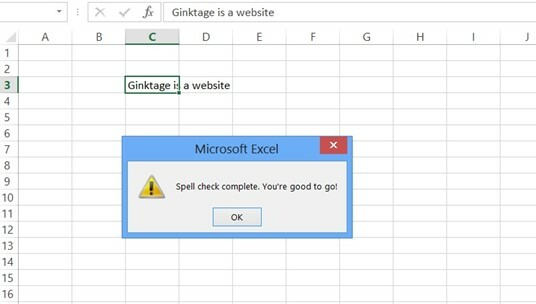 Excel includes a Spell Check feature that allows the users to quickly check the spelling mistakes in the excel sheet before submitting it to others. To Check for the spelling mistakes and correct it in the excel sheet, follow the below steps. 1. In Microsoft Excel 2013, Navigate to the Review tab and under the Proofing group, click the Spelling button. Alternatively, you can use the shortcut key – F7 to check the spelling. 2. 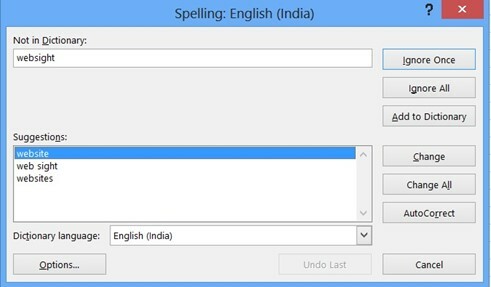 This will display a dialog which displays the “Not in Dictionary” and the “Suggestions” for correcting the mistakes. The users will also be able to add new words in to the dictionary via the “Add to dictionary” button. Click “Change” to apply the spell check suggestions. 3. This will display a Success Message “Spell check complete. You’re good to go!” once complete. 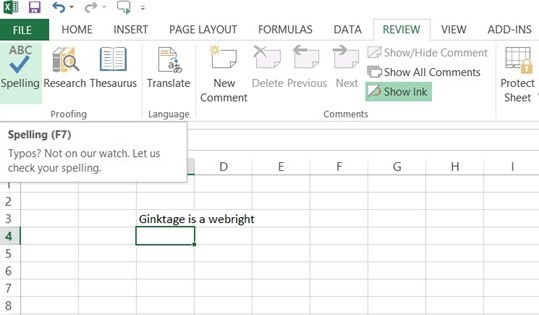 How to hide page breaks in worksheets in Microsoft Excel ? How to protect all worksheets at once in Excel using VBA ?